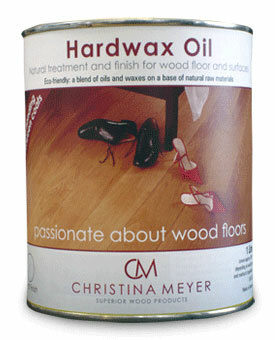 Our hardwax oil is a new generation of wood finish that combines the benefits of traditional waxes and old fashioned wood oils. A wood finish is surface treatment, such as varnish, that coats your wood surface with a protective and decorative sealant. It gives a beautiful natural silk like finish that can be mistaken for a lacquer. This is an eco-friendly product made from natural plant material and free from solvents. It is easy to apply drying in less than 8 hours – 4 hours in ideal conditions – and does not need sanding in between coats. It is also less nauseous than other products. This product is stain resistant and easy to maintain and clean. We recommend our 2-in-1 cleaner which been manufactured to complement the hardwaxoil. Available in matt, satin or gloss finish.